Republican outreach team will be chaired by Sabrina Demayo Lockhart, a Filipina who was nominated as one of the 100 most influential Filipinos in 2007. SACRAMENTO, CA – Reaffirming her long-standing goal to increase the presence of Assembly Republicans in every California community, Assembly Republican Leader Connie Conway, of Tulare, today announced the formation of a new Diversity Outreach Team, who will be focused specifically on helping strengthen Republican ties with women, ethnic communities and young people. 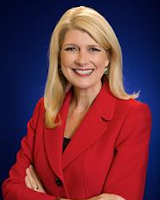 With her election in 2010, Conway became the first female Assembly Republican Leader in 30 years. This year, Assembly Republicans welcomed two new women to the Caucus, Marie Waldron and Melissa Melendez. There are now seven GOP women serving in the Assembly. Additionally, with the election of Eric Linder and Rocky Chavez, there are now two Republican Latinos serving in the Caucus. Conway today appointed her communications director, Sabrina Demayo Lockhart, to chair the Assembly Republican Diversity Outreach Team. As communications director, Lockhart shapes the messaging for the Caucus and serves as a spokesperson. She has more than a decade of experience working in the Capitol community, including her tenure as Assistant Associate Secretary for Multicultural Outreach for the California Health and Human Services Agency, where she cultivated relationships with ethnic media to highlight programs within the agency. In 2007, Lockhart was nominated as one of the 100 Most Influential Filipina Women in the United States . 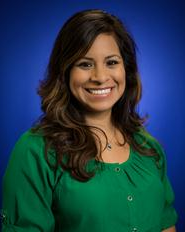 Ivette Barajas will oversee Caucus outreach efforts to California ’s Latino communities. She presently serves as Spanish press secretary for Assembly Republicans, serving as a spokesperson for the Caucus and helping to get the GOP message out to Spanish-language media outlets across the state. She also helps members with outreach to Latino communities in their districts. Barajas brings 13 years of experience in Republican Latino outreach, both in California and nationally, including serving as Southwest Regional Communications Director for the 2008 McCain Presidential campaign. She was also Spanish Communications Director for the New Mexico Republican Party. 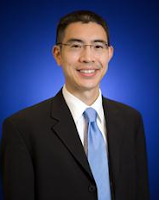 Ronald Ongtoaboc will focus on outreach to California ’s Asian American communities. An active member of the Asian Pacific Islander Capitol Association, Ongtoaboc is currently a communications consultant for the Assembly Republican Caucus Office of Member Support and Outreach, responsible for written communications product. He has experience with outreach to community groups as an executive writer for Governor Schwarzenegger. 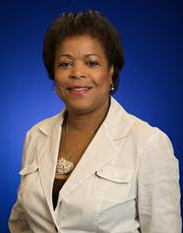 Roleeda Statham will focus on outreach to California ’s African American communities. She presently serves as the Community Outreach Consultant for the Assembly Republican Caucus Office of Member Support and Outreach, helping members to devise and implement tailored district outreach plans and assisting with outreach events, such as the Community Renewal Summit, “Stuff the Bus” school supply drives, regional job fairs and the Assemblywoman Beth Gaines Northern California Women’s Conference. Statham has more than twenty years of experience in community affairs, outreach and media relations both in state government and in the corporate world. 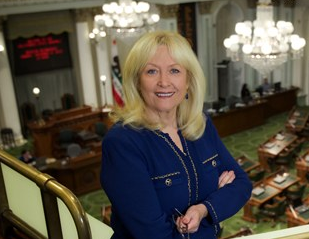 Michele Kane will focus on outreach to California ’s women. She presently serves as Deputy Director for News Videos for the Assembly Republican Caucus Office of Member Support and Outreach, where one of her most recent projects was assisting with media relations for the Assemblywoman Beth Gaines Northern California Women’s Conference. Kane has more than twenty years of experience in broadcast journalism, including creating a series for mothers called, “Mom’s World.” She was also previously the spokesperson for the California Department of Corrections and Rehabilitation for various areas, with a focus on women’s issues. John Bockweg will focus on outreach to young voters. 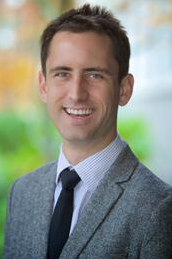 He is presently a student intern with the Assembly Republican Caucus Office of Member Support and Outreach, and a junior at the University of California , Davis . He is a past member of Junior Statesmen of America, and received numerous awards for his contributions to his high school newspaper. Each will be working closely with Assembly Republican members, staff, consultants and community groups to better carry the Republican message across the state.